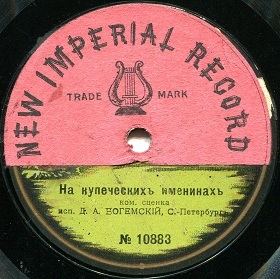 "In the April of 1912 on the Russian Gramophone market appeared records with unknown before label “New Imperial Record”. 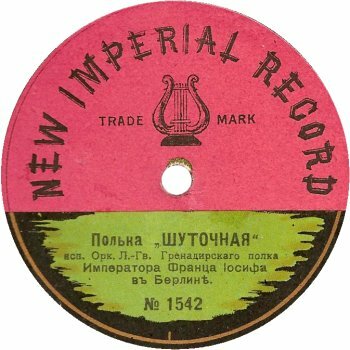 They had a very unusual label design: the upper part was scarlet with a lyre picture and a black inscription “New Imperial Record”, while the lower part was green. 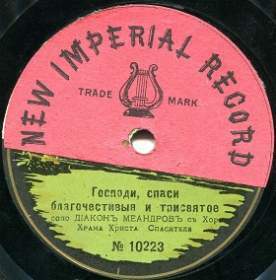 After close inspection of those records, one could promptly realize that in reality they were “Syrena Grand Record” records with scarlet stickers applied to the upper portion of their labels…"
3. 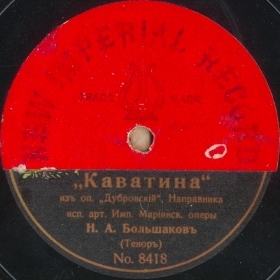 A.Zheleznyj. 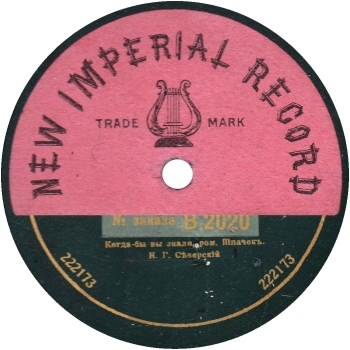 Our Friend – a Record. 4. Tomasz Lerski. 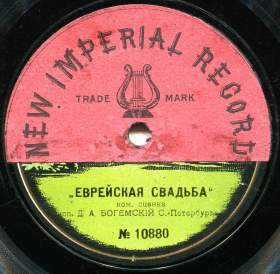 Syrena Record–Poland's first recording company. 5. 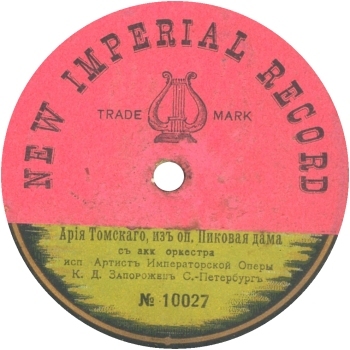 A.Tikhonov. The Unknown «Centennial War». Part 3. 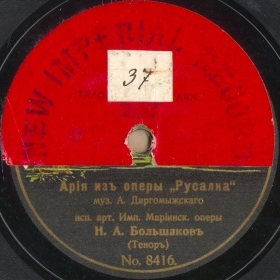 Piracy and theft - the two sides of the same record (in Russian). 6. 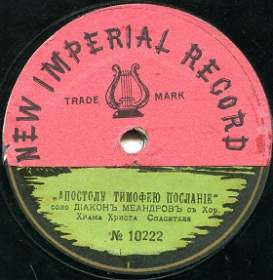 A.Tikhonov. 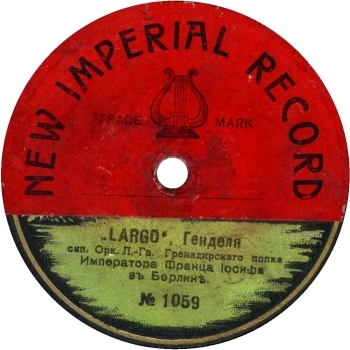 The Record of «Syrena».